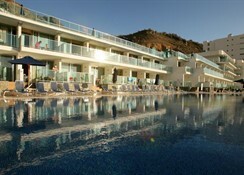 Morasol Suites are located just opposite the road from the Puerto Rico port in the southern part of Gran Canaria. The beach is a 2-minute walk from the hotel and there are lots of water sports available. 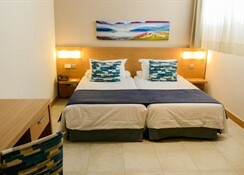 Rooms are categorised in to Studio with Sea View, Apartment with Seaview, Junior Suite and Family Room. 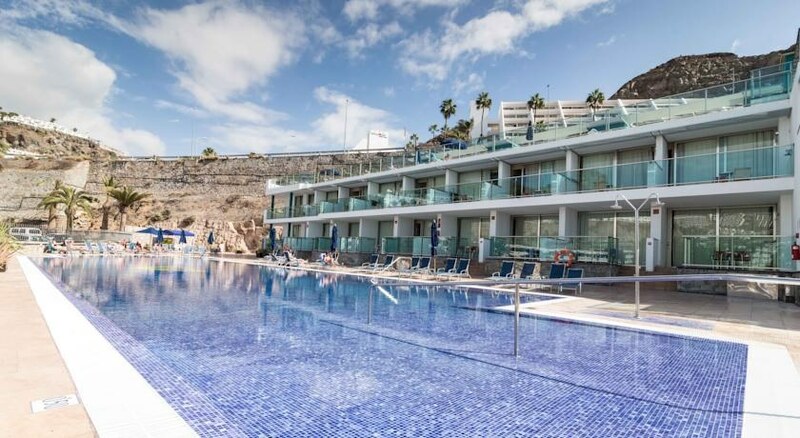 These rooms have common features like satellite television, air-conditioning, large terrace/balcony, bathroom with hairdryer and kitchenette complete with tableware. An a la carte restaurant serves you International cuisine whereas there is a lobby bar that helps quench your thirst. 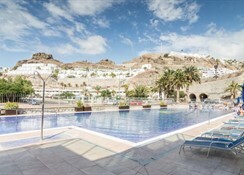 An adult swimming pool with sun loungers and parasols around is a great place to unwind while having a drink or two. 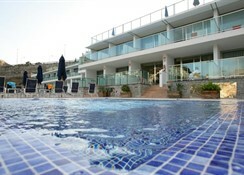 There is a separate children’s pool where they can safely play and enjoy. A solarium with panoramic Jacuzzi offers wide scenic view of the port. 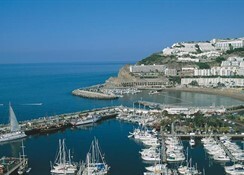 Proximity to the port means most of its rooms provide a good view of the sea. The golden beach of Puerto Rico is a lovely place to relax under the sun or go on to enjoy some water sports. There are many shopping centres as well bars and restaurants within 10 minutes’ walking distance.